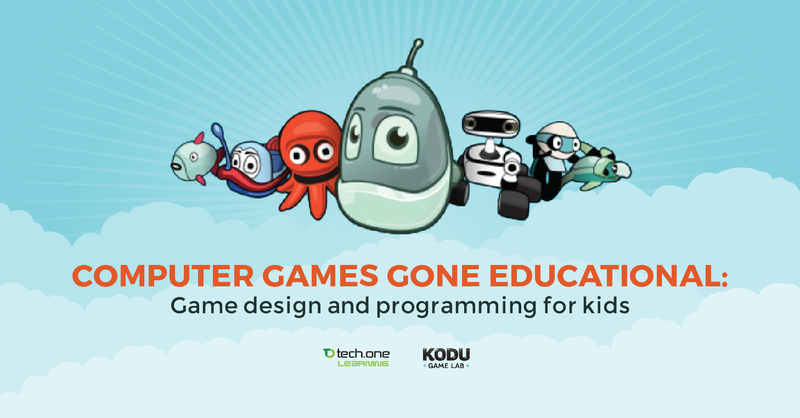 Tech One Global Pvt Ltd. spearheads a game-creation class for children. Colombo, Sri Lanka, Friday, 5th of August 2016 — Tech One Global Pvt Ltd., in cooperation with its educational arm, Tech One Learning, cordially invites parents and guardians to register their kids, ages 10 to 13 to a three-day learning activity about game design and programming. This will be held on August 8 to 10, 2016; 9am to 5pm. Its aim is to impart the basics of game creation using a child-friendly software called Kodu to kids. Catering a generation that children are into computer games, Tech One Global Pvt Ltd. and Tech One Learning harness kids’ interests in gaming to Kodu, a game design and programming software built for them. Kodu features visual representation of functions that can instantly depict how modifications can affect the whole game. Be it a ball game, a naval adventure or a character conquest, all is made simpler for kids to develop games patterned to conventional gameplays and are playable in PC and Xbox. For the topics, the children will be introduced to informal design process and game design patterns. Also, for developing the gameplay, storyline and the game’s logic, topics on rapid prototyping, story creation and game mechanics will be tackled. All these in a bundle with an original courseware and a lot more for only LKR 15,000. Being in the IT industry for more than a decade, Tech One Global Pvt Ltd. provides its expertise to local and international enterprises for positive outcomes. Seeing each person’s potential in the community, the company established its educational initiatives through Tech One Learning. And today, the company, together with its educational arm desire to impart the company’s proficiency and knowledge to the young generation. For more information about the Kodu class for kids, get in touch with Pradeep at 0777 318 120 or pradeep@techoneglobal.com. You can also check Kodu’s page HERE. Questions are also addressed at learningsl@techoneglobal.com.